With a mix of luxury lite retailers on the rise, Melrose appeals to investors who are quickly jumping at retail properties as soon as they hit the market. Third Street Promenade adds to its 75,000 visitor track record after completion of Expo Line and strategic placement of national retailers. Abbot Kinney, the coolest block in LA, is growing in popularity and rapidly adding national retailers. Flagships are selling on Rodeo Drive, setting a high-water mark for California retail. If LA’s scenery, weather and food aren’t enough to keep you occupied, just add the best shopping. With an ongoing rise of national retailers and flagships moving into the city, there are more than enough retail destinations to keep you shopping until you drop. 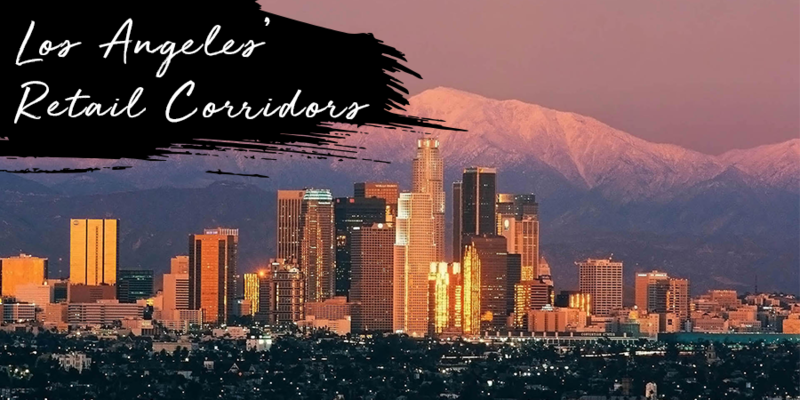 Don’t forget to download our Los Angeles City Retail report to learn about its retail corridors and view its average asking prime retail rents, annual rent growth rates and average cap rate ranges.